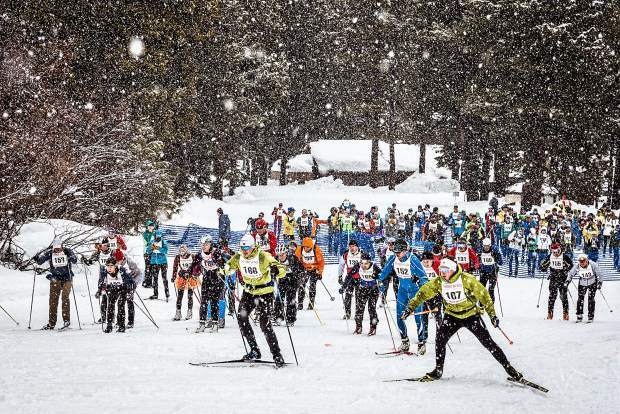 More than 350 Nordic athletes showed up to take on The Great Ski Race this year, battling elements on the 30-kilometer course from Tahoe City to Truckee. Athletes await the signal to start at The Great Ski Race. Don Ahlert, No. 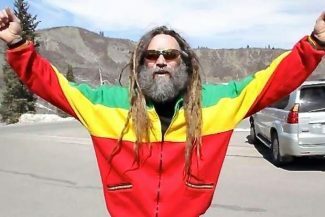 102, is the only person that has raced in all 42 races. 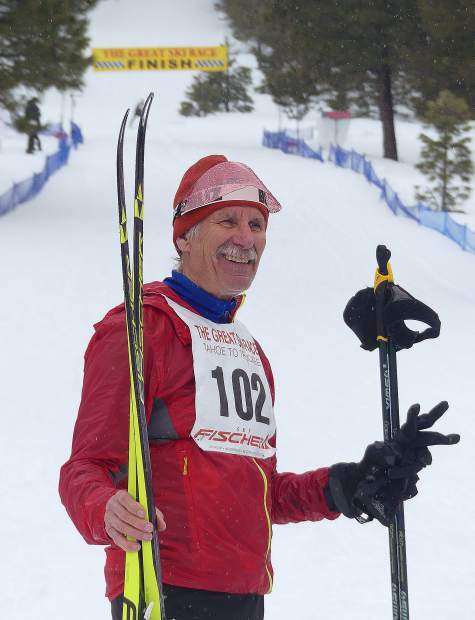 Wyatt Fereday, of Carson City, won the men's race and was the first to cross the finish line. Katerina Nash, of Emeryville, won the women's race. 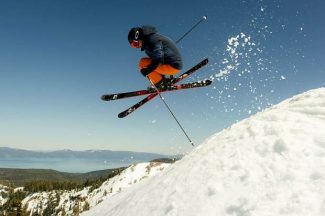 The Great Ski Race returned to the Truckee-Tahoe area last Sunday, benefitting Tahoe Nordic Search & Rescue. 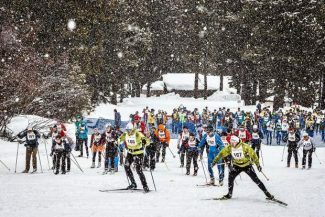 More than 350 Nordic skiers turned out to brave the elements as rain and wet snow fell on the 30-kilometer course from Tahoe City to Truckee. “We were able to groom the course between 2 a.m. and the beginning of the race. Almost everything that fell after that was more like rain, which makes it a lot slower on the downhills, but in a lot of ways doesn’t really affect the course as much as new snow would,” said Race Director Dirk Schoonmaker. 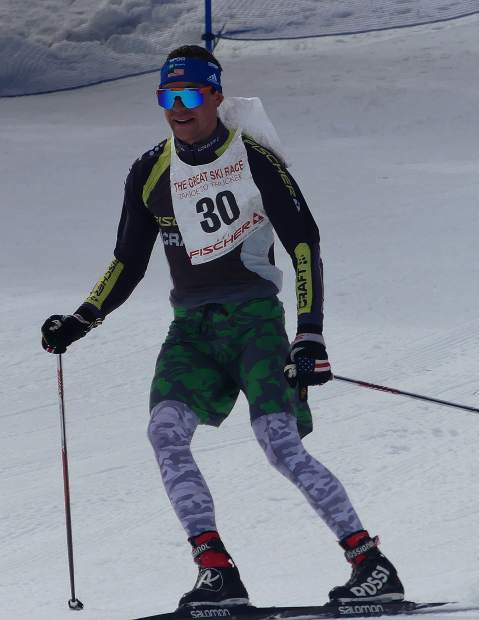 Wyatt Fereday, of Carson City, was first across the finish line to take the overall win, completing the course in 1 hour, 26 minutes, 57.86 seconds. Fereday won the race in 2016 as well. Truckee’s Tav Streit, who was the 2011 champion, was second with a time of 1:28:19.55, followed by Geoff Kabush, of Squamish, British Columbia, in third with a time of 1:28:20.5. Local racers, Nick Sterling (1:28:20.84), of Truckee, and Peter Holmes, (1:29:23.95), of Tahoe City, were fourth and fifth, respectively. Katerina Nash, of Emeryville, won the women’s race, finishing seventh overall with a time of 1:31:54.71. 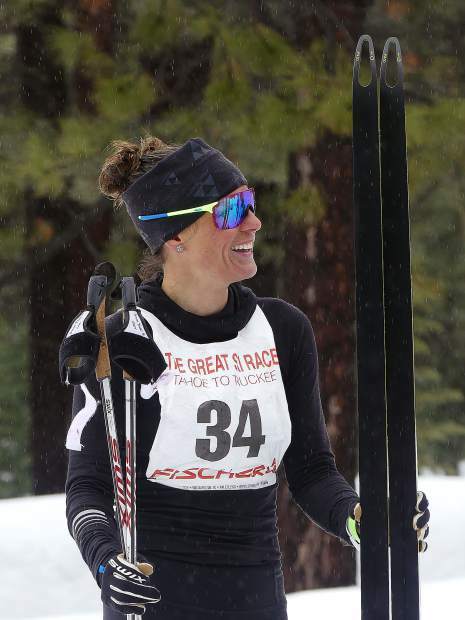 Nash’s win marked the third time she’s won the Great Ski Race. She was the women’s champion in 2016 and 2013. Bernie Nelson, of Bend, Oregon, was second in the women’s division with a time of 1:43:33.92, followed by Reno’s Caitlin Bernstein, who finished with a time of 1:43:35.15. The race, which has been held five times since 2011 due to course conditions, once attracted more than 1,000 competitors, a mark hit in 2005. This year’s event, according to Schoonmaker, had 459 registered skiers. Last year’s race was canceled due to a lack of snow. Storms forecast through the end of February and into last weekend likely affected turnout to this year’s event. “Unfortunately we didn’t have the turnout we’d hope for, so we won’t make as much as we were hoping to raise,” said Schoonmaker. “It’s just the way it goes. I think part of that was the weather forecast. Tahoe Nordic Search & Rescue has served the area since 1976, according to the rescue team’s website, and consists of a variety of volunteers, including emergency medical technicians, emergency room doctors and nurses, firefighters, professional ski patrollers and paramedics. 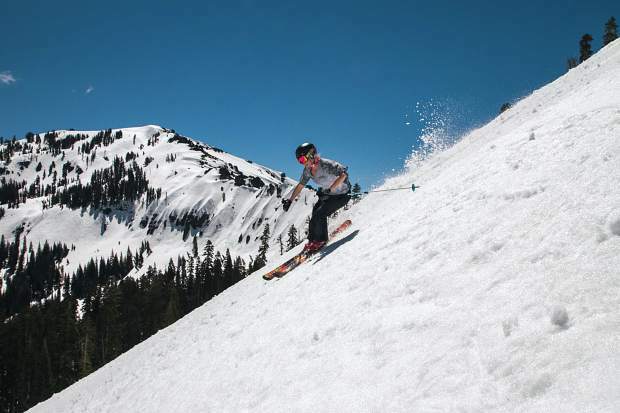 The Great Ski Race has been held (when conditions allow) since 1977, and was inspired by the route Jack Starratt, of Tahoe City, took to deliver mail in the 1930s. For more information or full results visit TheGreatSkiRace.com.